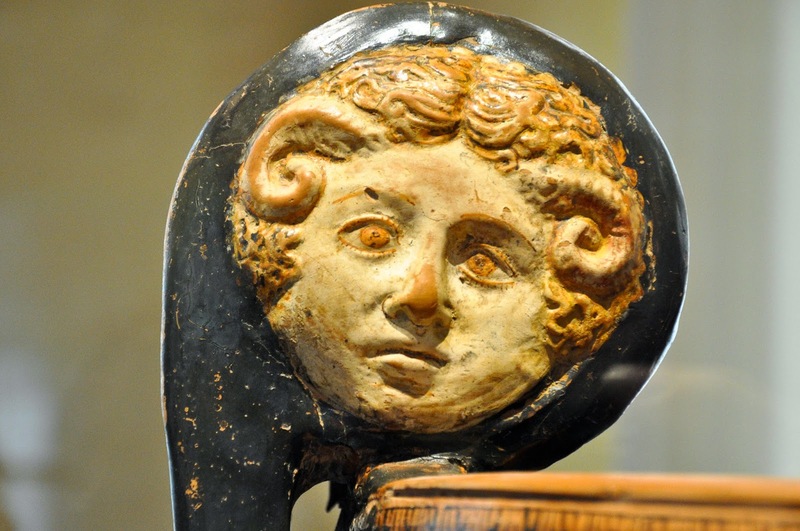 Today I am going to show you the quirkiest museum in Vicenza. I loved it so much that I went there twice taking hundreds of photos each time. 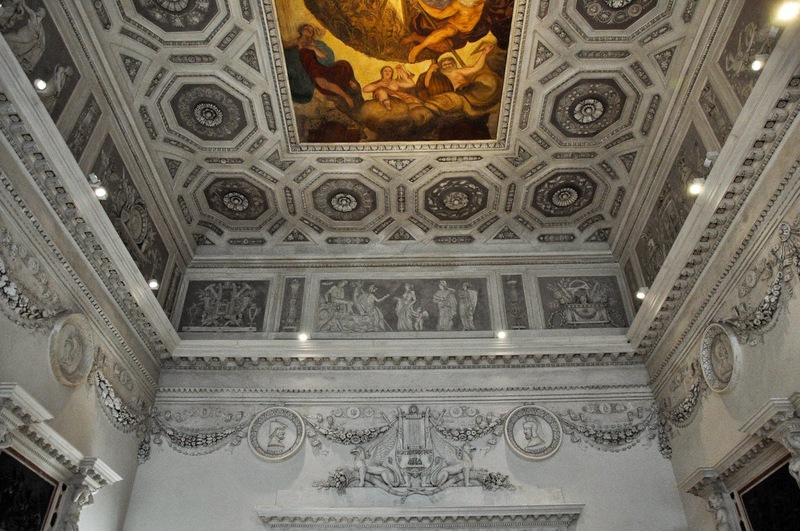 Richly stuccoed and frescoed ceilings. 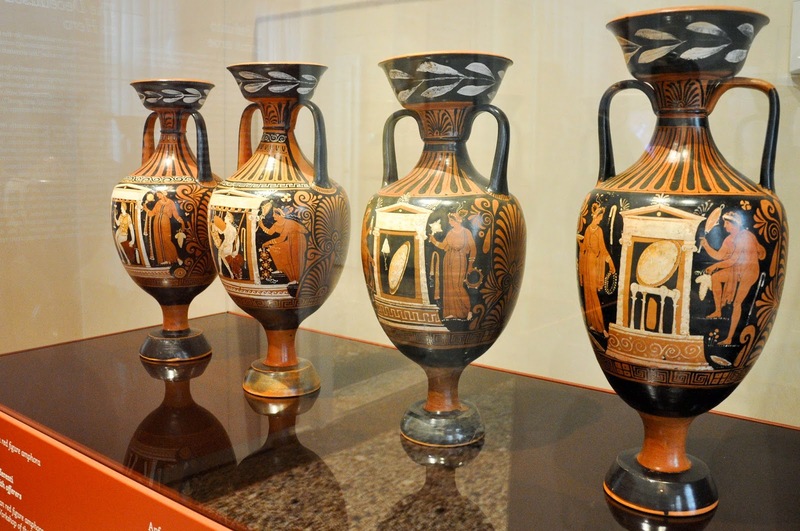 A fabulous collection of Ancient Greek pottery vessels. 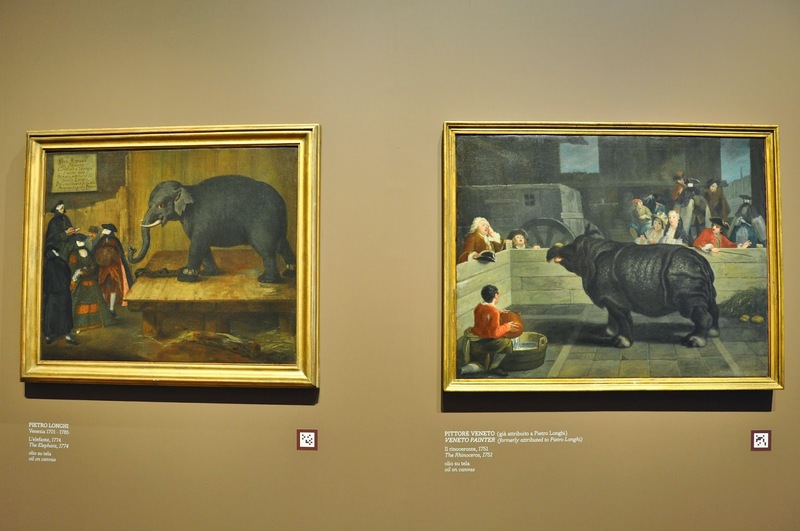 Paintings from the 18th century representing the weird and wonderful life in the Northern Italian region of Veneto and the jewel in its crown – Venice. Plus splendid Murano glass chandeliers, a vast collection of Russian Orthodox icons and an exhibition commemorating the First World War. 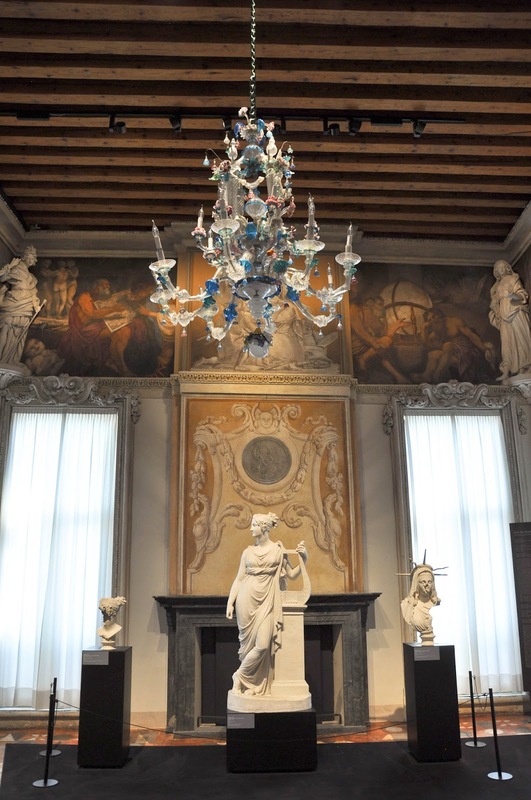 This eclectic treasure is housed in the baroque Palazzo Leoni Montanari in Vicenza and is part of the project Gallerie d’Italia (Italy’s Galleries) which runs two more museums in Milan and Naples. 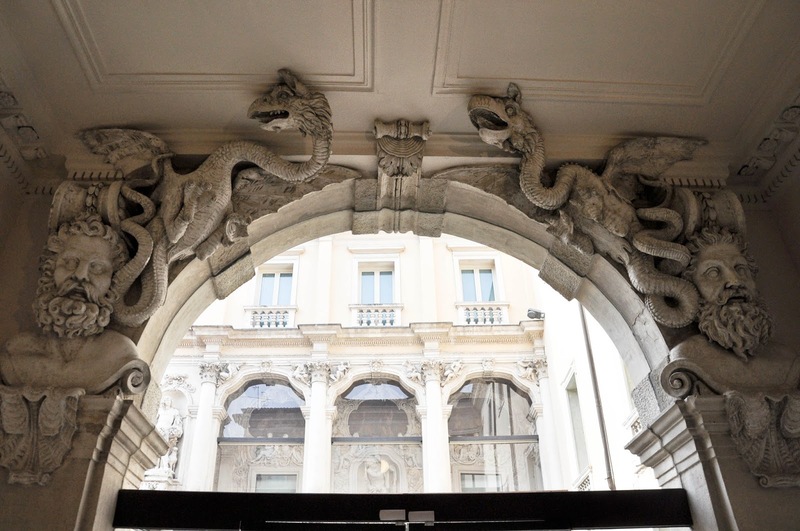 The palazzo is an elegant building just off the hubbub of Corso Palladio – Vicenza’s high street. I love the row of statues standing right on the edge of its roof. On a sunny day they are beautifully offset by the blue Italian sky. When you walk in, your eyes are immediately drawn by the gryphons curled up above the heavy front door and the door leading to the courtyard. The gryphons are so whimsical – both scary and cute – and they set the tone for the rest of your visit. 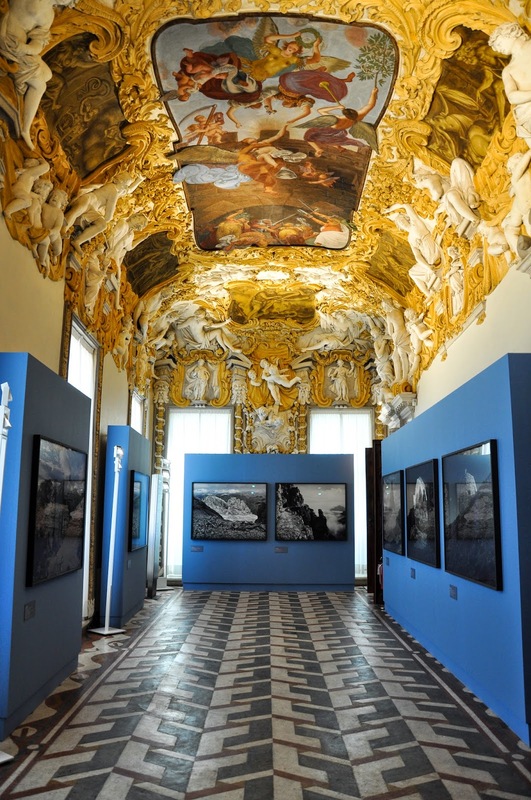 In other words, you will find that you will spend as much time admiring the displayed paintings and other objects of art, as craning your neck in order to better appreciate the fabulous ceilings with their rich ornamentation and mythological scenes. Once you buy your ticket (the museum is free on the first Sunday of every month), you can start exploring. 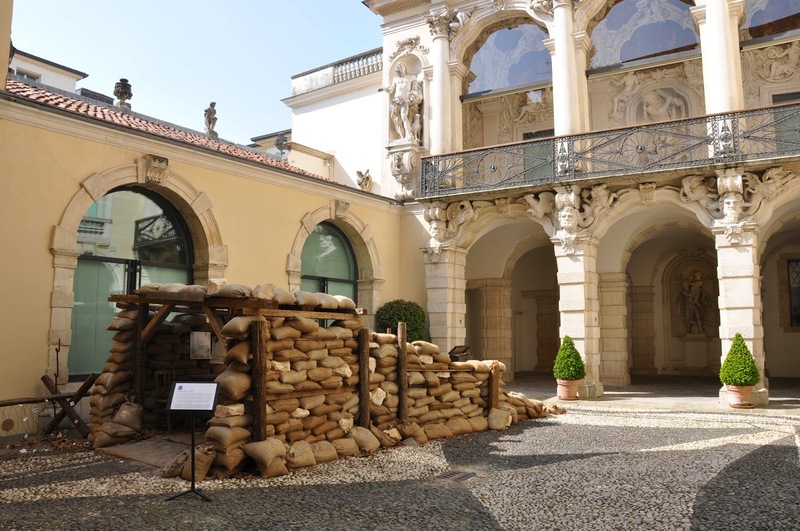 On the ground floor apart from a large shop with a fabulous selection of books and souvenirs, you can see the first part of a temporary exhibition running until August 2015 and commemorating the centenary since Italy’s entrance into the First World War. From there, proceed to the courtyard, where at present you will see this. 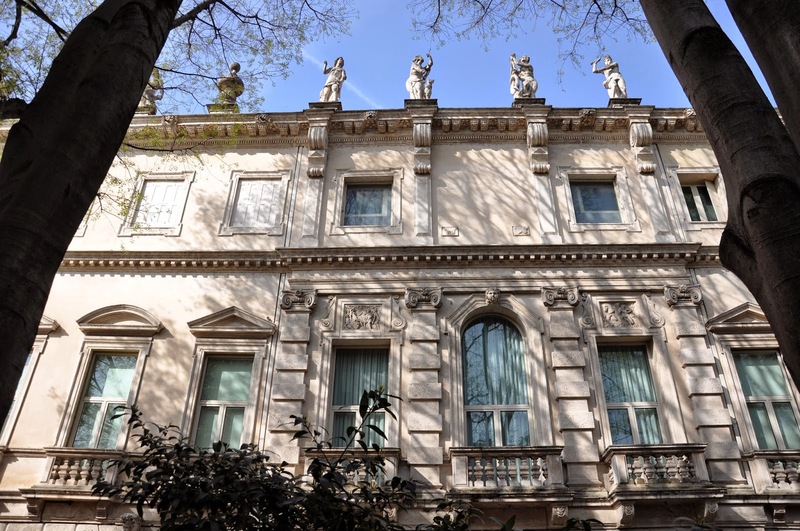 The basic conditions in which the soldiers lived and fought are even more startling next to the splendour of the baroque palazzo. From the courtyard turn right and re-enter the building. At this point you will find yourself facing Aeolus’ Cave – a short corridor with a richly stuccoed ceiling which steeply slopes down creating a telescopic view. 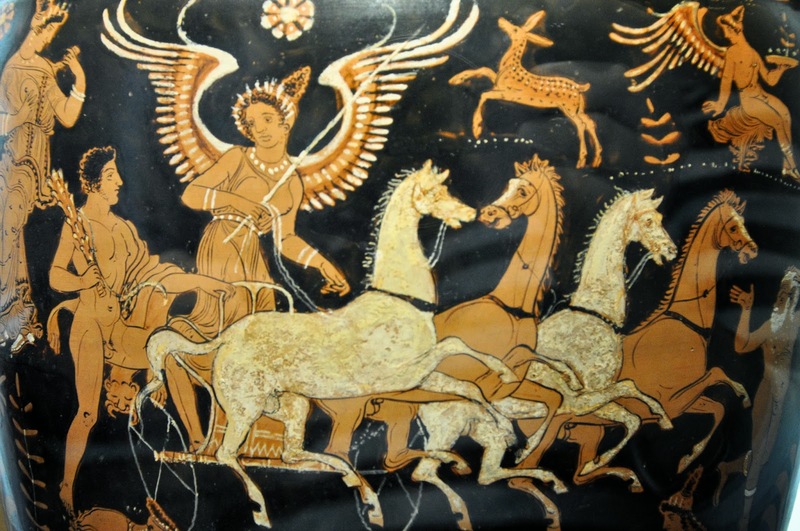 Several mythological characters are depicted on its walls, central to which is the Ancient Greek God Aeolus – the Keeper of the Winds. You are now ready to progress to the first floor. 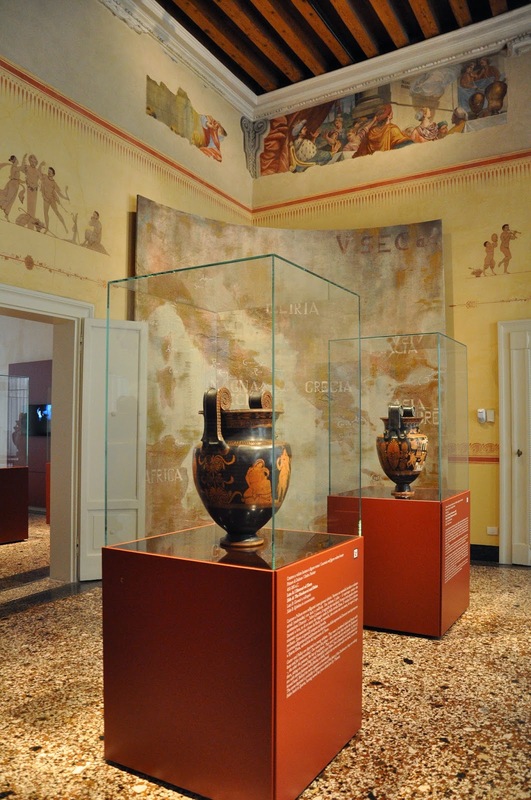 Here, you will find the rooms dedicated to Ancient Greece and its pottery craft. The huge vessels depict heroic and mythological scenes. Their colours are still rich, the painted faces and bodies look full of life. It is difficult to grasp the fact that each of these vessels is at least two millennia old. 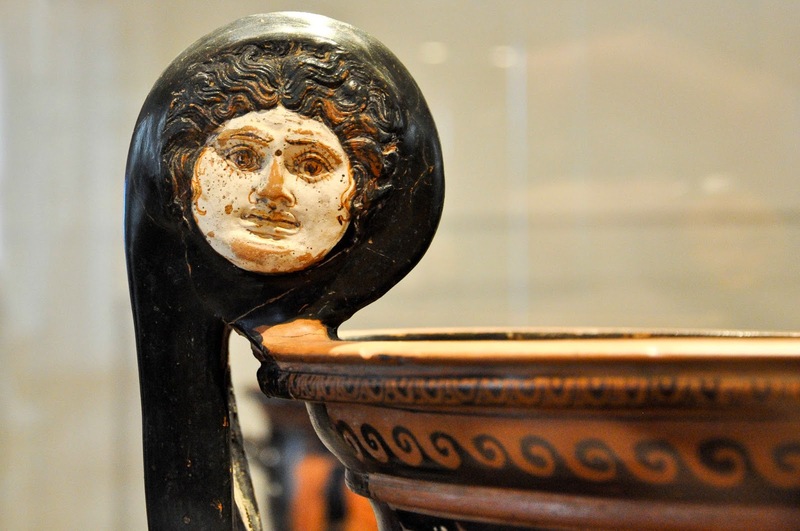 I particularly like the faces sculptured on top of the handles of some of these Ancient Greek kraters. They are really expressive and so full of emotions it feels like they are about to confide in you. 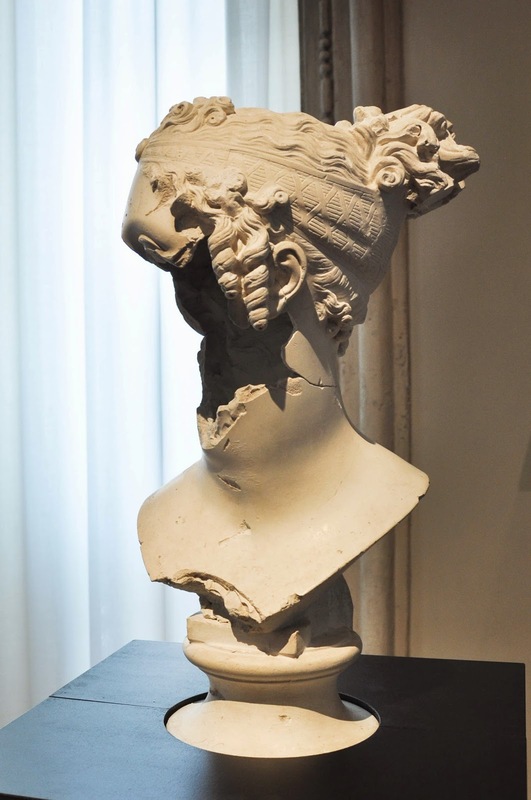 It is only when you lean really close to the glass cases containing these precious vestiges of a civilization long gone, that you begin to see the cracks running like a cobweb in the bodies made of clay. Suddenly, you realise that some of the vessels most probably were discovered broken in pieces and had been put back together by careful and skilful hands. Still, it is quite staggering to think that in pieces or whole they survived for a length of time which easily turns humans to nothing more but dust. 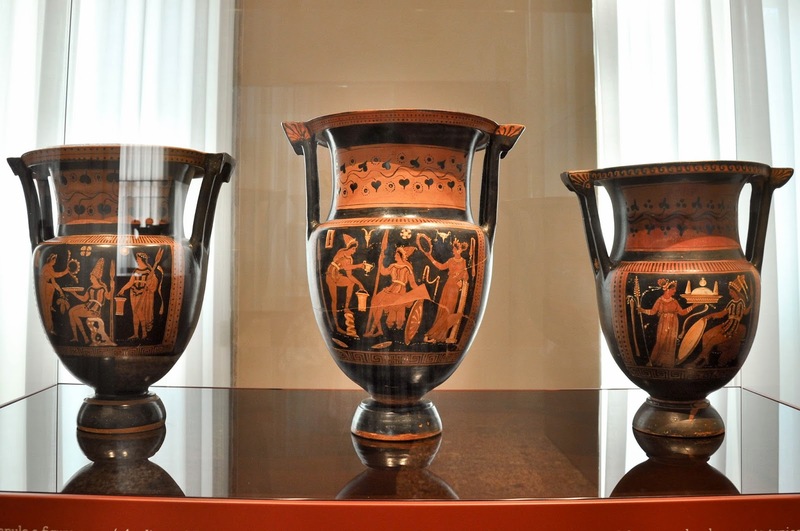 The two rooms dedicated to the pottery of Ancient Greece are followed by a sumptuous hall. Once again, the ceiling seems to be the first thing that pulls your gaze. Note the askew lines! 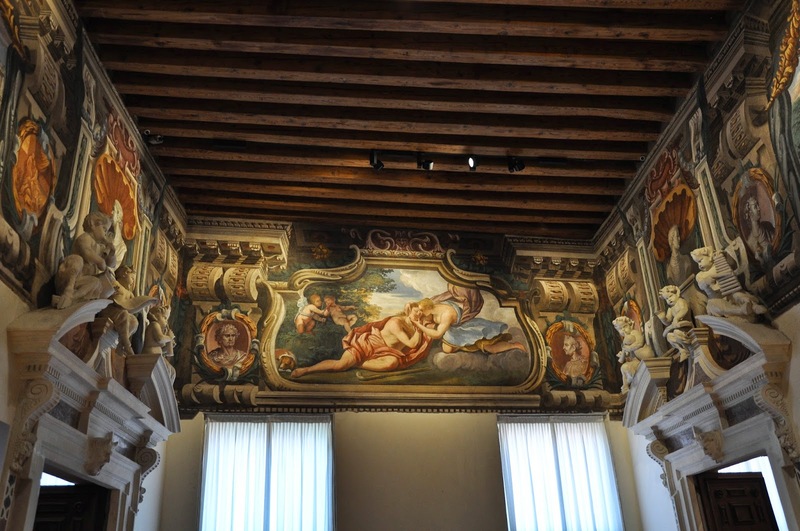 The palazzo is on a corner, nestled between several other grand buildings in Vicenza and the rooms have had to accommodate the irregular geometry of the place. 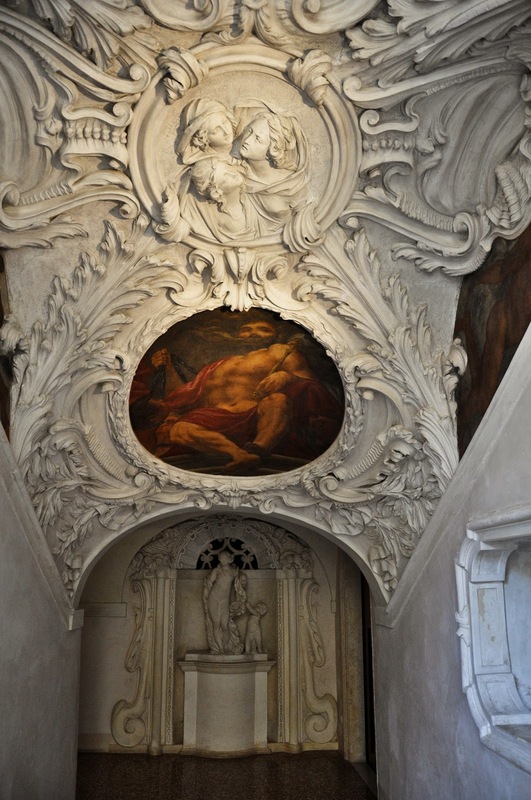 Under this stuccoed and frescoed pinnacle of ceiling art is a stark reminder of the horrors of war. Continuing the exhibition from the ground floor, here is a group of three sculptures damaged by bombings during the First World War. It makes you think of the fragility of beauty, art and human life and how easily they can be brutalised. 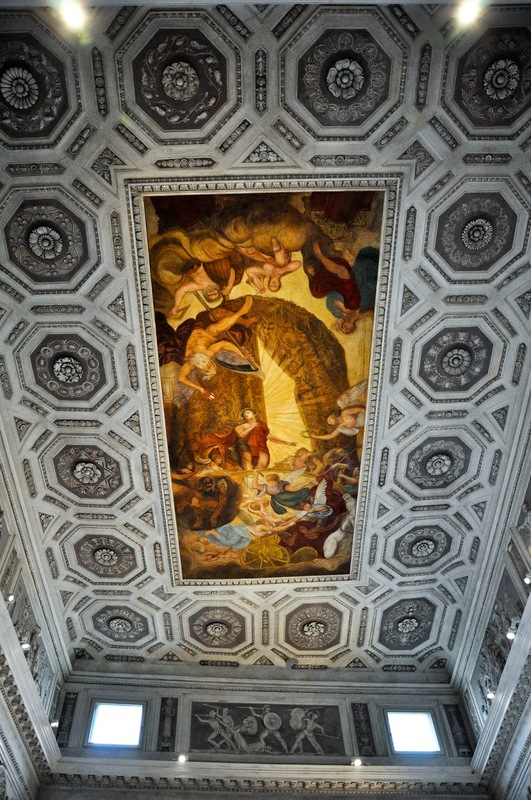 From here, another sumptuous door will lead you into another sumptuous room with yet another out of this world ceiling. Underneath, in strong visual contrast with it, are photographs from the First World War front line. 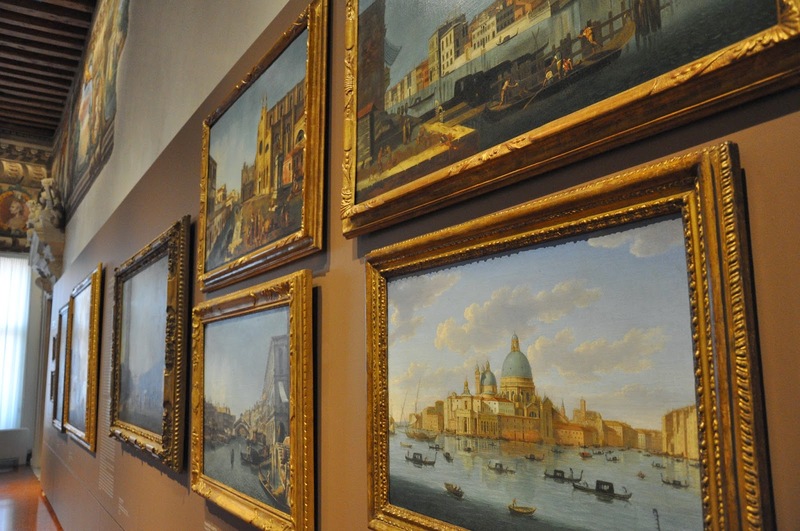 What follows next are several rooms with paintings from the 1800’s depicting life in Venice and Veneto. There are fourteen paintings by Pietro Longhi – an artist who documented the daily life of the upper and the lower classes in Venice thus becoming a reporter of his time. 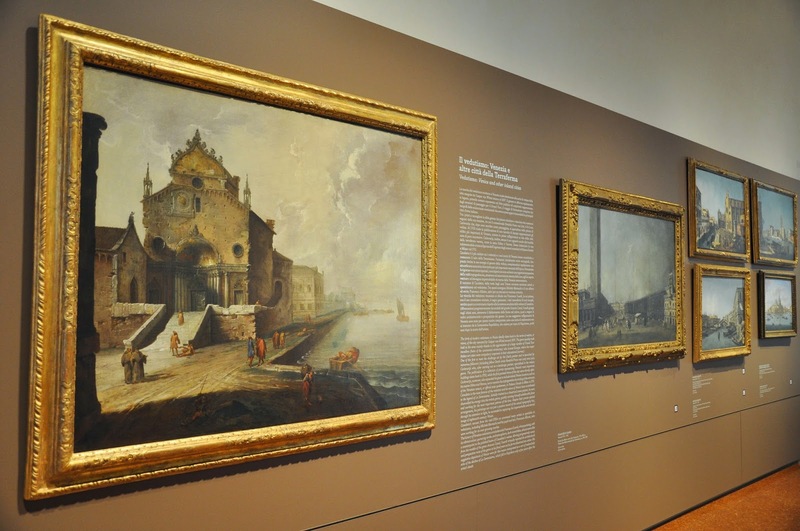 Several other big names including Canaletto are represented, too. Browsing unhurriedly the paintings one by one is a relaxing experience.There are no crowds pushing you out of the way and you can spend as much time as you want in front of each one absorbing every little detail. The soft light filters through the large windows covered with creamy drapes. 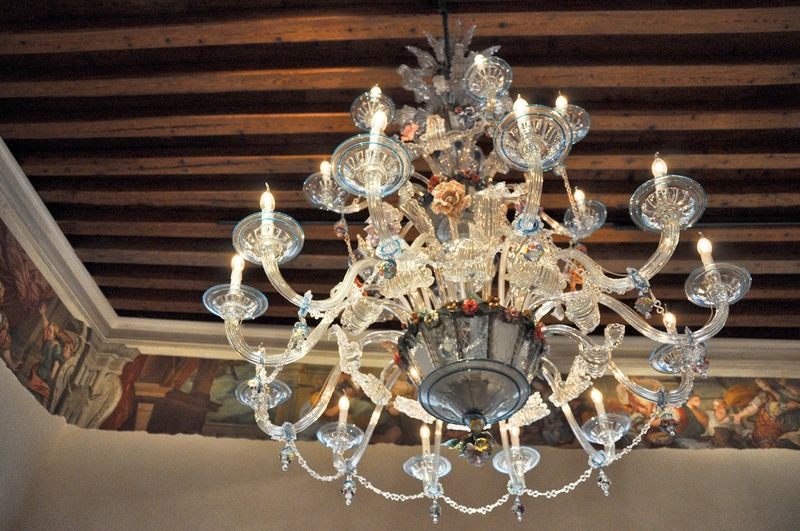 The highlights are provided by splendid chandeliers handmade of Murano glass. 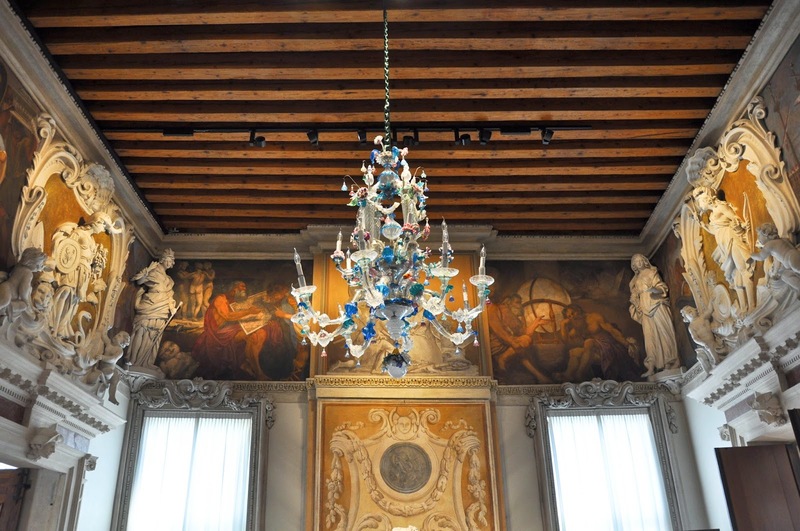 With flowers, link chains and every other little part entirely made of glass they are a testament to an art form that has been flourishing in the Venetian lagoon for centuries. 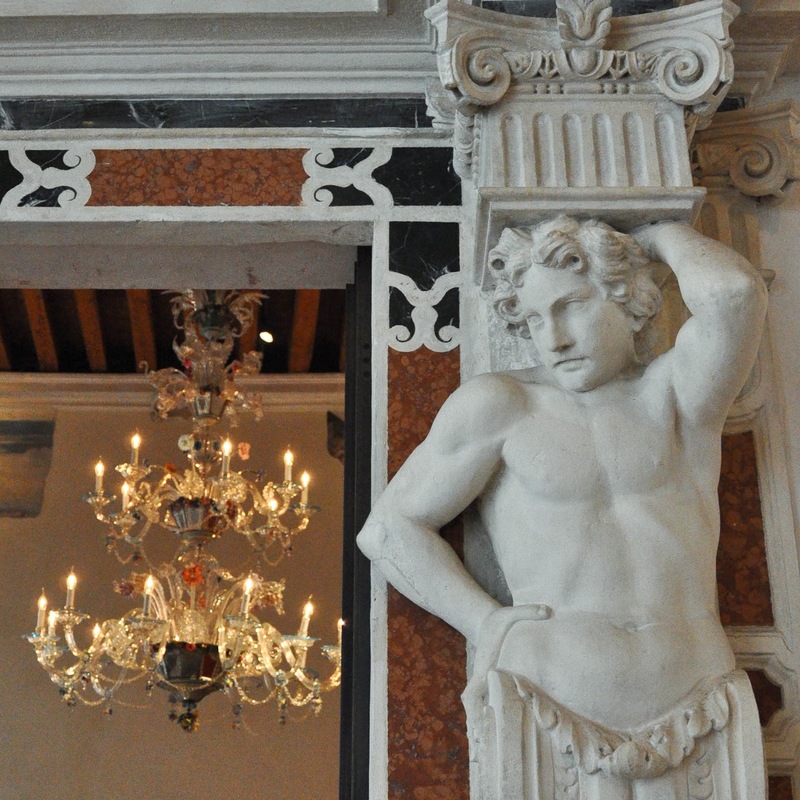 … and with this our visit to the Gallerie d’Italia in Palazzo Leoni Montanari in Vicenza draws to an end. Don’t forget that the top floor is taken entirely by a large collection of Russian Orthodox icons which deserve an hour of your time. I have written in detail about it here, so have a look. 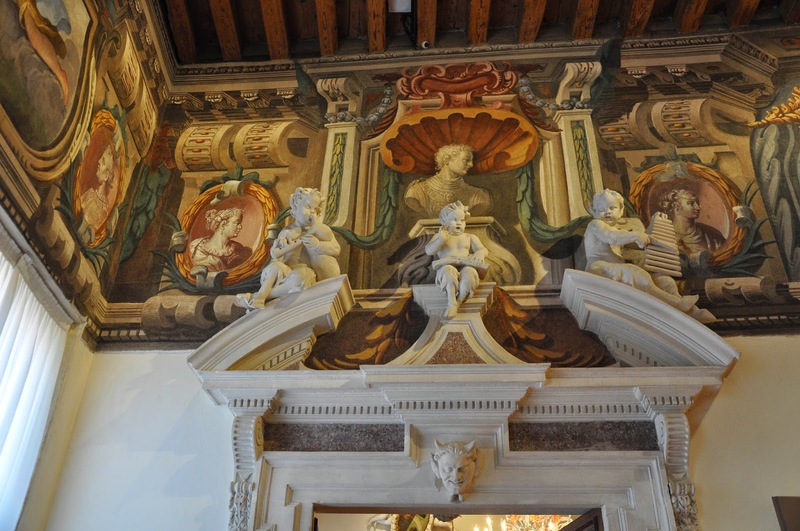 I hope you enjoyed our walk in pictures through the rooms of this most eclectic museum in Vicenza. There is a lot to see there, so don’t limit yourself to just reading about it. Seeing it in person is so much better. I guarantee it.